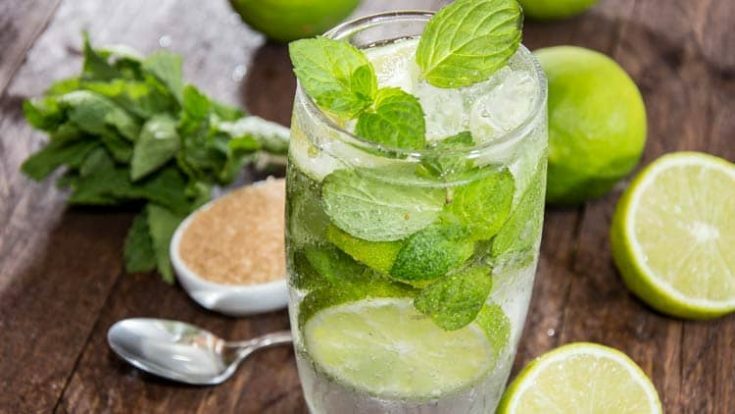 There’s just something about a refreshing cocktail recipe like this Classic Mojito Recipe that screams perfection. Whether you’re searching for the perfect cocktail recipe for a party or simply want a fun drink recipe you can whip up in no time flat to enjoy for your private happy hour… a classic mojito cocktail is simple, cool and refreshing. We love refreshing cocktails around her like these favorites: Strawberry Limeade Rum Punch, Blackberry Mojito, and Lemon Drop Cocktail. Yes, mojitos are every bit as refreshing as they look. The key to a great mojito is using fresh herbs, which is a great reason to have a little herb garden.